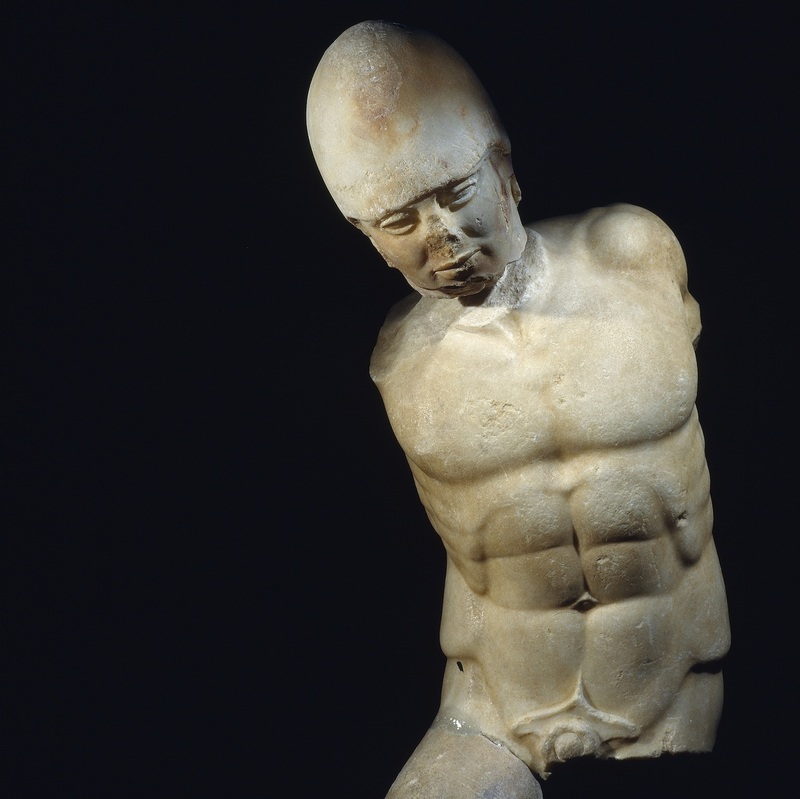 LONDON — Sicily: Culture and Conquest is one of the last exhibitions commissioned by outgoing British Museum director Neil MacGregor and encapsulates what made his tenure so valuable. Instead of standing in the present peering backward into the past, his programming helped shift this positioning so that artifacts of various cultures and periods became key tools in understanding how our world has evolved into the present. This approached reached its pinnacle with the phenomenally absorbing series A History of the World in 100 Objects, broadcast in 2010. To focus then on the two key ‘reigns’ that shaped Sicily — the Greeks, from 734 BCE, and Normans, from 1091 CE — cleverly highlights a much neglected story of the development of Western art history that leads right up to the birth of the Renaissance. Seemingly innumerable artistic styles brought to the island by countless settlers and invaders throughout these reigns are represented here by examples that pinpoint the cultural interchanges that informed how we got to the Renaissance as we know it. There is really no other way in such an enterprise than to sequence things chronologically. The show is bisected into blue and orange zones, signaling the Greek and Norman periods, respectively. The two sections are interspersed with idyllic photographs of the island’s undeniably spectacular landscapes (a sharp contrast to the noticeably unsavory character of its main city, Palermo) that will send many visitors scurrying to their travel agents. The dual layout facilitates better navigation of a three-dimensional timeline which is crammed with carefully selected groups of artifacts illustrating the various points of artistic interchange between inhabitants and new settlers throughout the island’s colorful history. 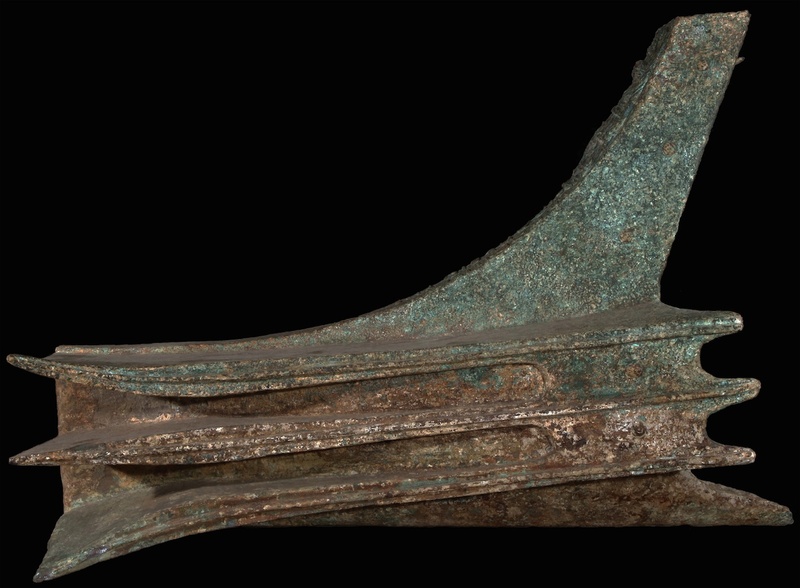 It becomes apparent from the richness of extant objects, which feature a combination of styles and practices native to several different cultures, that there was much productive and relatively peaceful cooperation going on. 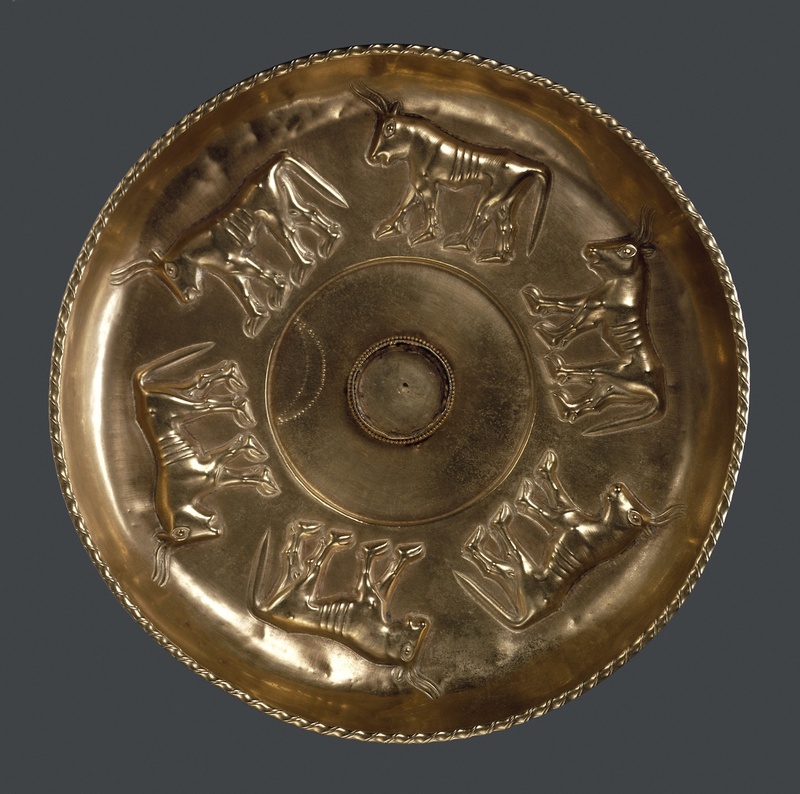 Dating from about 600 BCE, a fantastic, shallow gold dish features bull iconography — for the recently arrived Greeks, symbols of the fertility of the island — hammered out in the repoussé and punching metalwork techniques of the Phoenicians who were already settled on the island. 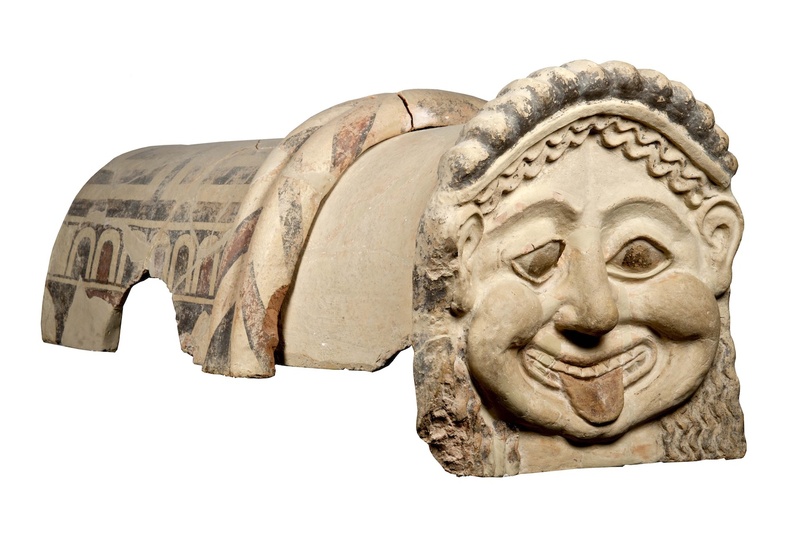 Elsewhere, another crossover of both material and style is visible in a wonderfully grotesque Gorgon head rendered in terracotta — not marble, which was unavailable on the island — by its Greek sculptors, who were clearly influenced by a playful impishness and gleeful delight in its tongue-out horribleness. Seeing this piece, it becomes easy to understand how art history could have disassociated this seemingly less refined mode of art from the aloof elegance of Athenian marble sculptures. Nevertheless, the island’s appeal — not least due to its fertile soil, as evidenced in several terra-cotta votive offerings on view here — enticed many wealthy Greeks to its shores, bringing with them the traditions of fine Athenian marble sculptures and red-figure pottery associated with Greek art of the time. Examples here including a remarkable, recently restored late 5th century Greek helmeted warrior, its accurate musculature and veined skin a triumph of naturalistic marble sculpture. It is a melting pot of creative styles and purposes, dizzyingly impossible to get one’s head around fully without having studied the complexities of artistic exchange during this period. What emerges from the selection of objects here is a sense of productive and relatively peaceful cooperation. Where the curators’ job gets harder is in the following era of increasing flux and violence, from 241 BCE to 1091 CE, during which the Vandal and Goth tribes invaded the island, and the Romans, Arabs, and Byzantines repeatedly attempted to seize control. Displays devoted to this period are wisely (perhaps necessarily) divided into clear areas to aid the story; a bronze battering ram dating from the Roman invasion of 241 BCE details campaigns against the resident Greeks and Carthaginians; fine gold jewelry characteristic of Byzantine craftsmen; ceramic work bearing the distinctly linear slipwork associated with Muslim techniques. A Qur’an manuscript from Palermo sitting next to a Byzantine–Middle Eastern hybrid marble showing the Christian Tree of Life motif demonstrates how many groups made their mark on Sicily’s visual culture, whether in conjunction with or in parallel to each other. 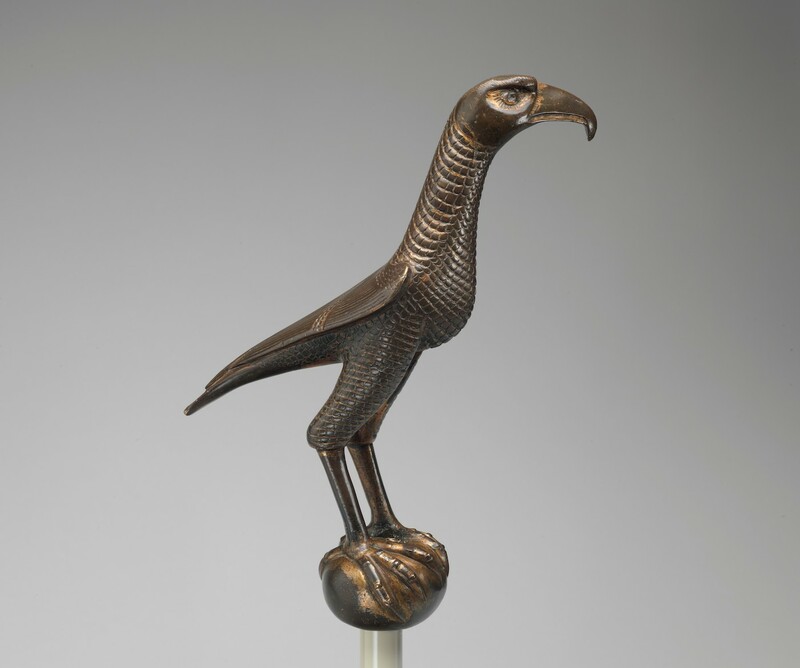 The exhibition’s next section explores Norman dominance after the Frankish invasion of 1061, signaling a period of deliberate cultural integration for political ends. I studied the era of Norman kings Roger I and Roger II in depth, and indeed all the key objects they used to legitimize their Christian rule through religious tolerance and integration with the existing cultures (in this case, both Byzantine and Islamic) are referred to here: the mosaic image of Roger II in Byzantine dress being crowned by Christ from the La Martorana church in Palermo; his ceremonial robe featuring imperial lion motifs made by Muslim embroiderers; the Cappella Palatina’s Islamic woodworked ceiling, also in Palermo; the seated singer painted in Fatimid style and opus sectile Byzantine mosaic from Céfalu. The problem with these key pieces is that they are all immovable, represented here by photographs. Should an exhibition this thorough miss out on a vital section of its chronology simply because it cannot be represented in person by its most significant examples? I am inclined to say that the show is so thorough that it stands up despite such absences. By the time of the later Frankish king Frederick II, we see the eventual dominance of Christianity and a falling away of constructive collaboration between cultures. Most representative of this era is a heavily idealized portrait bust of Frederick II in the Roman style and dating from between 1220 and 1250; though red-haired, short-sighted, and weak, only a youthful intelligence and flattering countenance are rendered here, signaling a turn toward the mode of imagery we associate with early Renaissance Italy. Sicily’s is a story of labyrinthine complexity. Having studied the Frankish segment and balked at the sheer variety of combinations of styles, craftsmanship, and iconographies made by several cultures fluctuating between tolerance and oppression among themselves, I think the British Museum has covered all the key bases admirably and — given how confusing this could have been — with astonishing clarity. What is most welcome is the attention given to an island that in microcosm bridges the chronological gap between the well-known Greek and Roman rules and the emergence of the European Renaissance. A most pleasurable potted history. 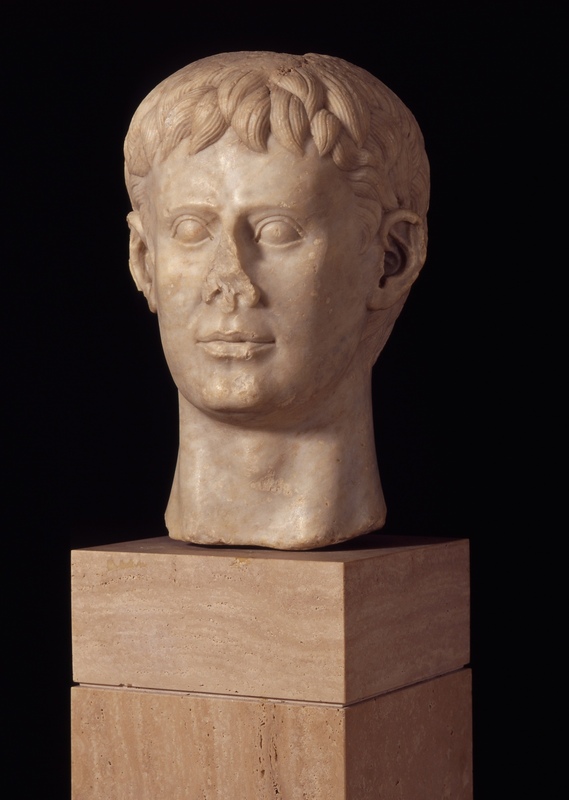 Sicily: Culture and Conquest continues at the British Museum (Great Russell Street, London, UK) through August 14.